Right on the heels of PlayStation’s Black Friday Deals announcement, Xbox has also published its full listing of Black Friday discounts on games, Xbox Live Gold subscription and more. Right off the bat, Microsoft is offering 1 month of Xbox Live Gold subscription for as low as ₹50. It usually goes for ₹699, so it’s worth checking out if you’ve been wanting to get a Gold subscription. Xbox Live Gold members will also get an additional 10% of all the deals that’ll discuss in this article. 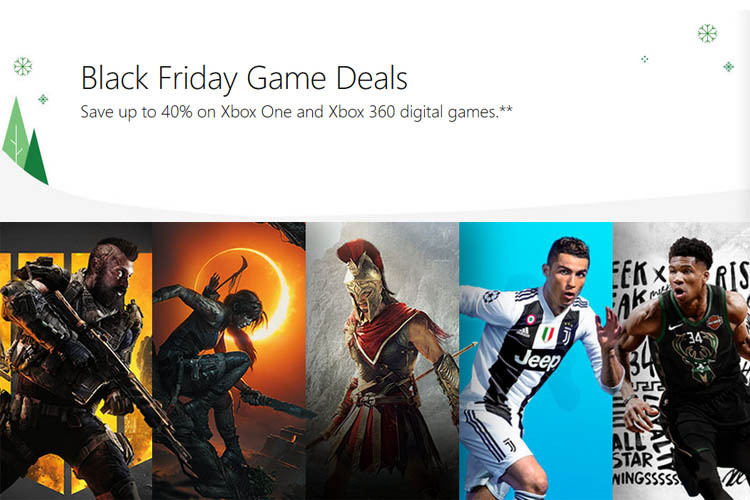 Just like PlayStation’s Black Friday Deal list, Xbox One users are also in for a treat as most of the newly launched AAA titles like the Assassin’s Creed Odyssey, Shadow of the Tomb Raider, etc. are on sale. There are a ton of games on sale, so if you feel like spending more money, then be sure to stop by Xbox Store and check out the entire collection. In addition to the Xbox One games, it’s also a great time to buy the Xbox One Game Pass, and get unlimited access to 100+ Xbox One and Xbox 360 games on Xbox One for a minimal monthly price. It’s available for as low as ₹50 for a month.